Backed by rich industry experiences, we are highly engaged in offering a premium quality range of Semi Automatic Cup Filling Machine. 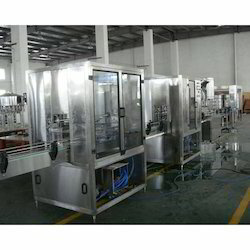 This machine is semi-automatic type and hence cup loading and unloading is done manually for filling beverages. We are offering Pasta Filling Machine to our clients. Product characteristics: Free flowing granules solids.